ON THIS DATE (April 21, 1939) ... The Red Sox opened the 1939 season at Fenway Park with a great deal of enthusiasm. 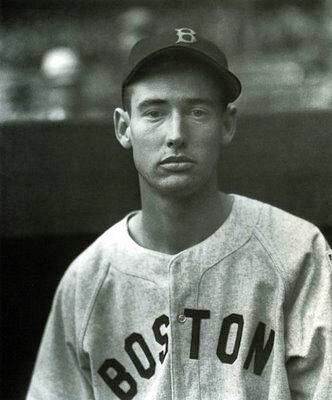 The Sox easily won the game 9-8 behind Jim Bagby, but 76 year old Connie Mack stole the show. After Governor Saltonstall threw out the first pitch, Mack walked from the governor's box to take his usual perch on the bottom step of the visitor's dugout at the start of the contest. It seemed that every person in the park arose to applaud the grand old man on every step of his walk. Thumping Teddy Williams became a fan favorite as the crowd called his name every time he came to bat. Ted made the first putout of the game by gobbling up A's rookie Joe Gettenbein's fly ball to him in right field. Ted got his second hit of the season and first at Fenway off southpaw Ed Smith; an RBI single in the sixth inning.